Hashtags are a great way to help catalogue and share your photos with a wider audience on Instagram. You can use hashtags to share your images with like-minded people, brands whose products you have included in your image and also creative hubs who may wish to post your image on their accounts. Being featured on creative hubs (like @creativelysquared!) is a wonderful way to introduce your account to a wider audience and interact with new people. Finding the right hashtags that are relevant to your images can be an ongoing process that you will update and refine over time. The key to using hashtags effectively is making sure they are always relevant to the image you are posting, finding unique, niche tags to use instead of generic ones (we go into this in more detail below! ), and researching the best Instagram communities and hubs that suit your style and are well-frequented. It's important to get involved in these communities! Remember, hashtags are only a starting point to build engagement. Using the tags on their own won't help you in the long term. The more love you send out, the more you get back! Use the in app search function: By searching keywords, Instagram will show you a list of each hashtag containing that word along with how many times it has been used. It is a quick and easy way to gauge a hashtags popularity before you use it. Check out the related tags: Type in a hashtag that you like into the Instagram search window, once you open the feed you will notice that there are a list of suggested tags across the top of the app. These are a great way to find similar feeds that may use entirely different keywords. Have a look at what others are using: Seeing what tags similar accounts are using is a great way to discover new hashtag feeds and feature accounts to tag in your images. Some users will also tag feature accounts in their image so try tapping the image to discover these as well. Try using specific and niche tags as well as popular ones: When choosing a hashtag don't always just pick the most popular ones as your image will be quickly buried down in the feed. Plus unfortunately they are often hijacked and filled with spam. Have a look at the feed and see what the images tagged look like. If it doesn't look like a collection that you would browse yourself the chances are no one else is looking at it either! The smaller and more niche hashtags will increase your visibility within that feed, generally have higher quality photos and likely reach more engaged users. You can post up to 30 hashtags per image. Only the account that posted the image can add a searchable hashtag. If additional tags are posted in the comments by other people the image will not appear in those feeds. If you want your hashtags to appear hidden you can add them as the first comment and run them after 5 lines of dot points or emojis. Keep your favourite hashtags in your phone notepad to cut and paste whenever you need them. Here are some hashtag feeds that we think are full of creative images that we enjoy looking at. As most of you are probably aware, I do love me a bit of moody styling! I'm very inspired by the great masters, such as Cezanne, Pissaro & Manet, all of whom are know for their exquisite still lifes. 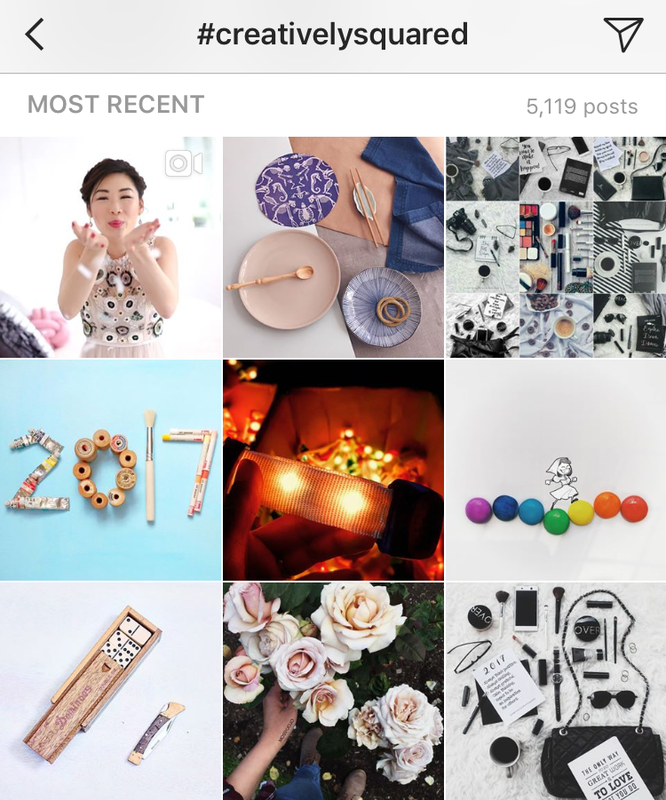 When it comes to choosing hashtags for my images, I do lean heavily on the still life hubs that are popular across Instagram. Another good community to get involved in is the VSCO community (if you use the app for edits & filters!). It's highly active, and the hashtags #vsco #vscocam & #vsco_hub are good ones to start with as they are well searched. Got any of your favourite tags or hubs we should add to the list? Drop me a line at at ruth@creativelysqaured.com and I'll add them in to this post!